Investing is serious, business doesn't have to be. 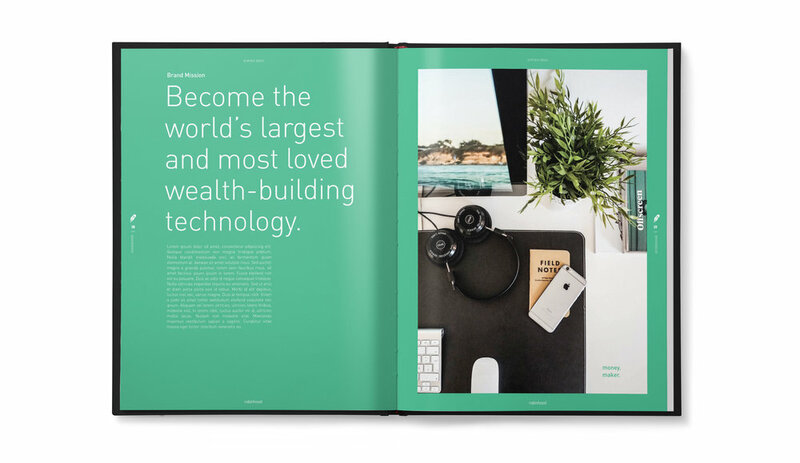 In approaching the brand book for Robinhood we wanted to capture the true personality of the people that make up the company. People who love cats, jokes, sean connery, intelligence, and appreciate clean design. The result was a brand book unlike any other. One that showed the anti-establishment, humorous roots of the tech company. p u r r f e c t .
m e o w .